The parish of Lonan has an abundance of picturesque properties to offer any potential buyer. Surrounded by hilly landscape, the parish lies just inland from the beautiful east coast of the Island and many of the properties in this area can enjoy some of the most beautiful views the Isle of Man has to offer. Located near the rocky, steep coastline at the edge of the village of Laxey the coast is broken up only by several headlands, such as Laxey Head and Clay Head, offering stunning spots which allow you to soak up the seascape ahead of you. Not only are you just a short distance from the seaside but Lonan is scattered with heavenly glens, making it a simply enchanting area to live in. This is why here at Black Grace Cowley we pride ourselves on being able to bring you a choice of Lonan homes so that you can make the most out of such a fantastic location. When you choose to start your property search in the settings of Lonan, here at Black Grace Cowley we like to think this is where your search will also end. Not only will you fall in love with the area, but we hope to bring a Lonan property to you which will make your decision easy. It's up to our team of dedicated, experts to take all of your requirements and match them to your perfect Lonan property so that you're more than satisfied with our service. Lonan boasts its own parish library, church, and the peaceful Ballannette Nature Reserve with its lakes and bird watching hide, making the area of Lonan not only a great community to be part of but an area which gives you the perfect chance to indulge in the tranquility of the Isle of Man. Here at Black Grace Cowley we want to help you be a part of all of this so you can begin your life in your new Lonan property as soon as possible. 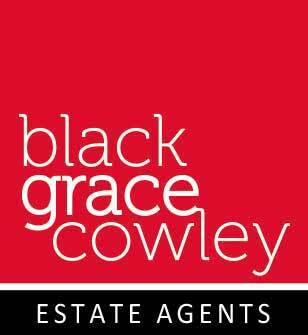 So get in touch with Black Grace Cowley today and see what property for sale, Lonan has to offer you.